Nestled among the fine shops, restaurants, and art galleries on 124th Street, the Glenora Bed & Breakfast Inn lies at the heart of Edmonton's historic West End. Old world charm, together with the comforts of today, combine for a truly memorable experience. 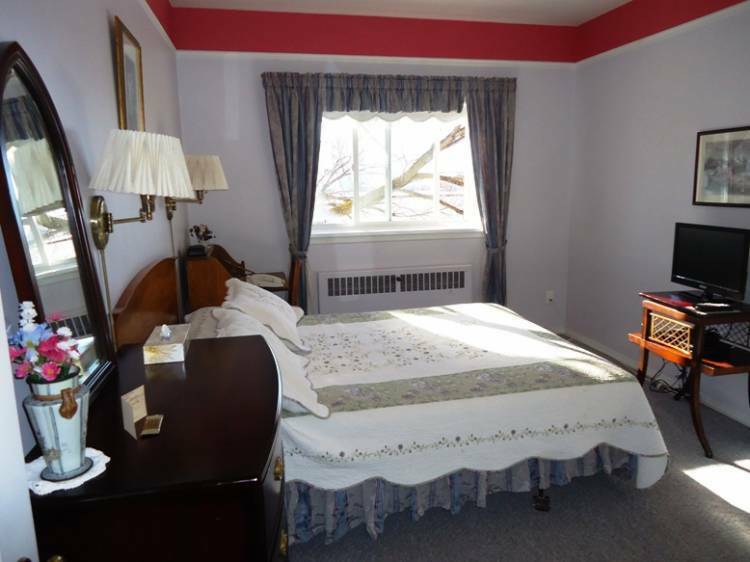 The B & B offers different room types ranging from Traditional Rooms w/ shared bath ($80/night, based on single occupancy, extra person $20 each), Standard Rooms (one queen bed, ensuite bathroom) $110, Family Room (king w/ sofa bed, private bath is across hall) $110, Executive Suites (one queen) $115/$125 with kitchenette, Junior Suite (queen bed, sitting area, ensuite bathroom w/ deep soaker bathtub) $120, Junior Suite with kitchenette (queen bed, ensuite bathroom, kitchenette) $120, Junior Suite w/ sofa bed (queen bed, sofa bed in sitting area and ensuite bathroom w/ deep soaker bathtub) $125, Deluxe Suites (Queen canopy bed or twin beds, ensuite bathroom w/ clawfoot tub and separate sitting room with sofa bed) $130 and full one bedroom Apartment Suites ($160). Breakfast is included, in the Glenora Bistro (try the Eggs Benny!). We also feature a common area for guests with a fridge, microwave, coffee and sitting and dining areas. Free wireless internet is included and all 25 rooms have air conditioning. Parking is limited behind the B & B (additional street parking is available evenings and weekends.) Management lives on-site in case guests have any issues after hours. The B & B is completely non smoking, and we do not allow pets. Also due to the building's age there are no elevators so people with mobility issues may have some issues. Staff may assist guests with heavy baggage upon request. 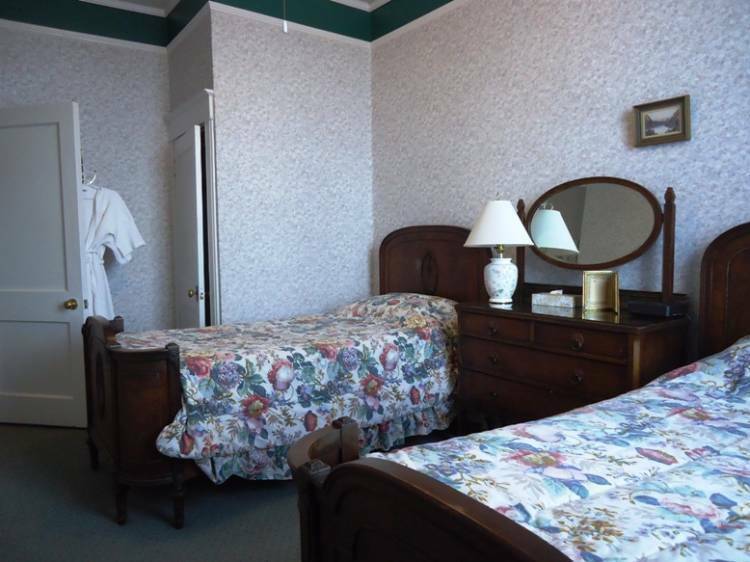 Traditional Rooms ($80) feature either one double bed or two twin beds. Separate bath and powder rooms are shared between our three Traditional Rooms. 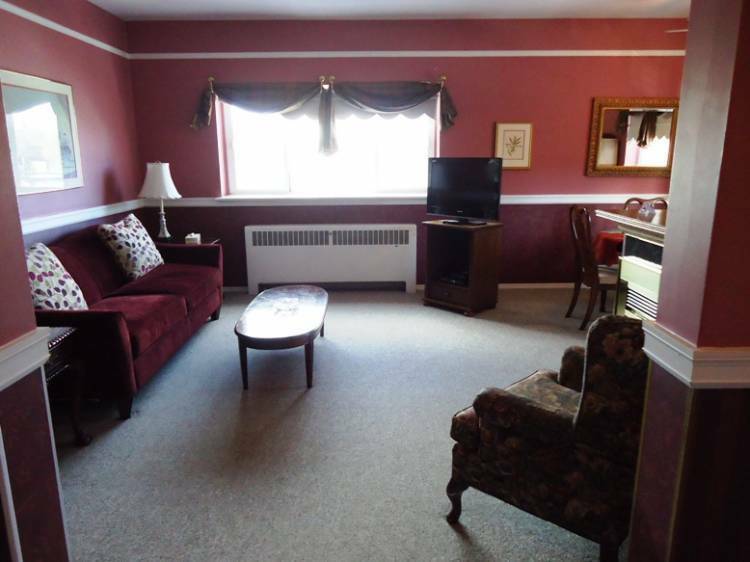 The Family Room ($110) has a king bed, plus a large seating area with a queen sofa bed. The private bath is across the hall. Our Standard Rooms ($110) feature one queen bed and ensuite bath. Junior Suites ($120) are larger rooms with a queen bed and a deep soaker tub in the private bath, Junior Suites with kitchenette ($120) also feature a queen bed and ensuite bath and include a small kitchenette. Junior suites with sofa bed ($125) are larger rooms with a queen bed, sitting area with sofa bed, coffee service and offer a deep soaker bathtub in the ensuite bath. Executive Suites ($115/$125 with kitchenette) are larger rooms designed for the business traveller. 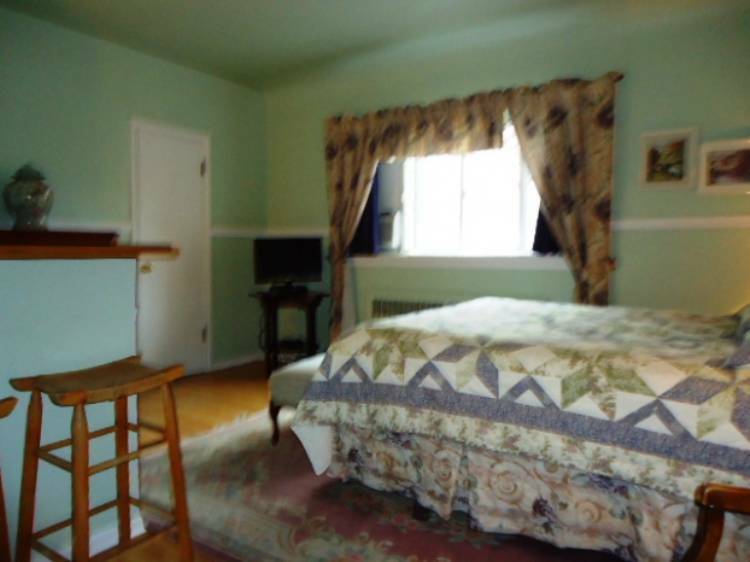 The Twin Suite ($130) includes two twin beds and a separate sitting room with a sofa bed. 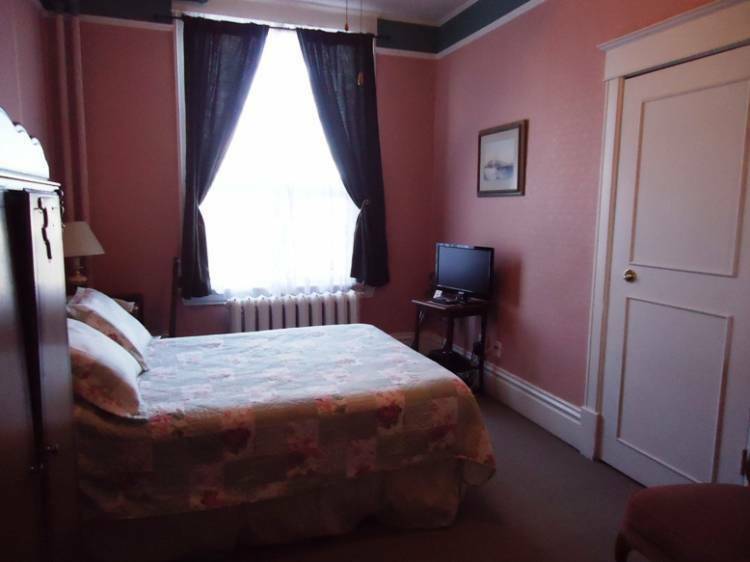 Deluxe Suites ($130) are romantic rooms featuring a queen canopy bed, sofa bed in sitting room and a clawfoot tub in the ensuite bath. We also offer full one bedroom apartments ($160). Breakfast is included for all guests. All rooms offer free wireless internet. Parking is available but is limited to nine spots (additional street parking is available evenings and weekends). We also feature a common room for guests with fridge, microwave and seating area. 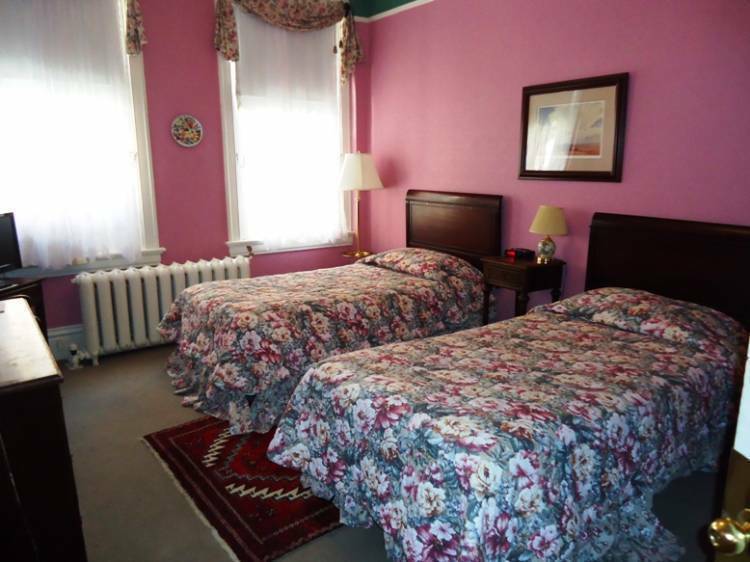 Nestled among the fine shops, restaurants, and art galleries on 124th Street, the Glenora Bed & Breakfast Inn lies at the heart of Edmonton's historic West End. A credit card is required for all bookings. Cancellation policy is 24 hours prior to check in. Please note front desk is open 7 am to 10 pm; if you are arriving after hours you must contact us prior to your arrival date to arrange a late arrival. We are located on the southeast corner of 124 street and 102 avenue in downtown Edmonton. Public transportation to downtown and West Edmonton Mall is available from 124 street and 102 avenue.